Markets around the world were awash in red on Monday as global uncertainty spooked nervous investors. Investors are fleeing stocks and running to the comfort of U.S. government bonds. America's 10-year Treasury yield is trading near its lowest level of 2016, an indication of just how much buying there is for this perceived "safety net" bond. Nerves are high for many reasons. At the top of the list are the upcoming Brexit vote and more concerning Chinese economic data. The stunning mass shooting in Orlando, Florida that killed 49 people has also left everyone, including investors, shaken. U.S. stocks are falling. 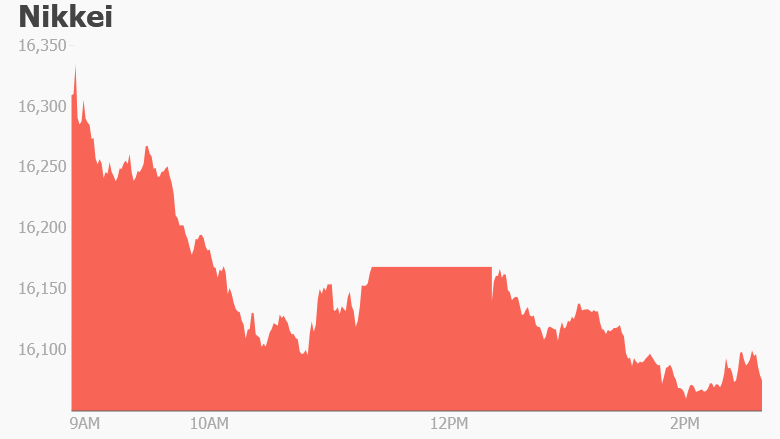 The Dow is down over 60 points. European stocks are in even worse shape with markets down over 1%. France's CAC 40 is down almost 1.5%. 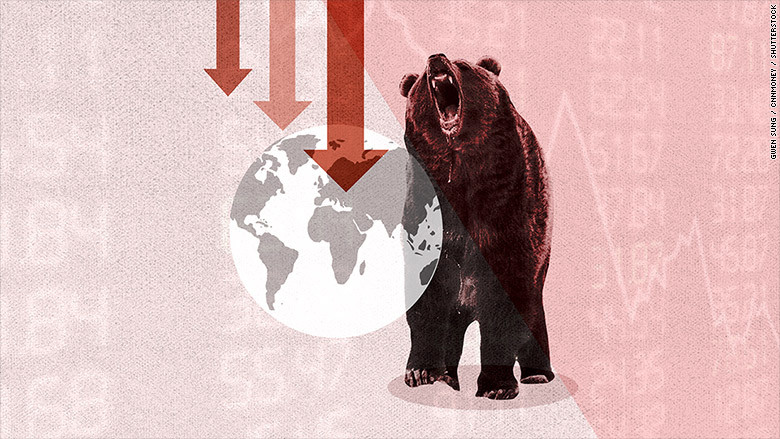 Asian markets had a dismal day. Japan's benchmark Nikkei led the retreat, shedding 3.5%, while Hong Kong's Hang Seng Index dropped 2.5%. Investors are looking ahead to a policy announcement later this week from the U.S. Federal Reserve, which could hike interest rates. The Bank of Japan is also due for a policy announcement mid-week. On top of that, there is the looming possibility of turmoil in Europe next week if the U.K. votes to leave the European Union. "A major reason why investors have sought a safe haven in fixed income is the potential earthquake in the U.K. on June 23," wrote investment strategist Greg Valliere of Horizon Investments in his Monday morning note. Most forecasters, the U.K. government and the International Monetary Fund have warned of economic shocks from a "Brexit" -- largely because it's impossible to know whether the country would continue to enjoy easy access to the vast European market. A dramatic fall in British and European markets could also cause bond yields and interest rates to go even lower in the European Union, making investors even hungrier for U.S. bonds. "Usually, around these periods, the market will be volatile," said Michael Liang, chief investment officer of Foundation Asset Management. "People want to keep the powder dry -- you want to wait and see exactly what the outcome is going to be before you take further action." The Shanghai Composite closed down 3.2% as Chinese markets reacted to a spate of disappointing economic data. Later this week, index provider MSCI will announce whether or not to include China in its widely tracked global benchmarks. Beijing has long lobbied to be included in its emerging markets index -- a vote of confidence in the country's stock markets that could attract more investment dollars. But MSCI said last year that China's markets were still not ready for primetime. In 2015, Chinese stocks enjoyed an incredible rally before the bubble burst, forcing investors to absorb huge losses.